President Mnangagwa is on Wednesday expected to preside over the ground-breaking ceremony for the expansion of Hwange Thermal Power Station, which is estimated to cost $1,5 billion. The expansion project will see two more generating units, 7 and 8, being constructed with each generating 300MW of electricity on completion. Zesa Holdings spokesperson Mr Fullard Gwasira, told our Harare Bureau last week that about 2 500 jobs would be created at the peak of the project. "Projections at project peak for Hwange: plant 2 200 (employees while) transmission and distribution (would have) 300," said Mr Gwasira. 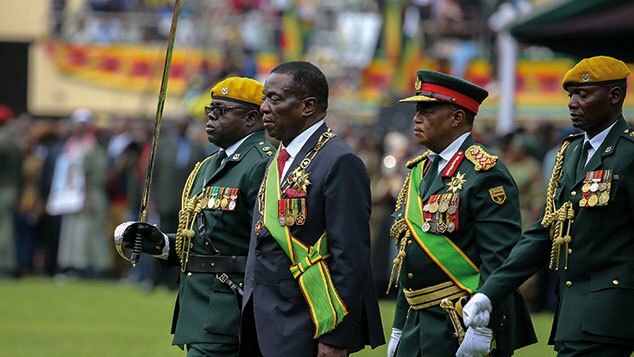 Job creation dovetails with President Mnangagwa's aspirations, as he battles to improve the living standards of citizens, most of whom are still reeling from over a decade of economic recession under former President Robert Mugabe. During the Kariba South expansion project, which has added a further 300MW into the grid, 1 500 people got jobs. Apart from job creation, the Hwange Thermal Power Station expansion project is significant as it comes at a time when Government is luring both local and foreign investors to set up businesses, employ citizens and develop infrastructure. Foreign investors' appetite for Zimbabwe's investment opportunities is sky-high after the new administration tweaked the Indigenisation and Economic Empowerment Act, which was seen as draconian. Given the huge response by investors, it is envisaged that when the bulk of the $20 billion worth of investment commitments eventually take off, more electricity would be required so that they operate optimally, without being affected by power challenges. Before the expansion exercise at Kariba South, which cost $533 million, installed capacity was 750MW. Total capacity at Kariba South has now increased to 1 050MW and as at Friday last week, the plant was generating 833MW of electricity. Hwange, which has an installed capacity of 920MW, was subdued, generating 310MW last Friday. Overally, Zimbabwe was generating 1 196MW of electricity from Zimbabwe Power Company (ZPC)'s five plants, with Bulawayo producing 25MW, Munyati (13MW) and Harare (15MW). ZPC is ZESA Holdings' power generating arm. National electricity demand is currently pegged at 1 600MW, implying greater scope for more power projects.